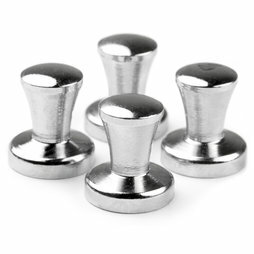 These silver-coloured magnets with a knob have an impressive adhesive force, are easy to grasp and look classy. Perfect for the office or as a practical and pretty gift. Even a large wall calendar is not a problem for Mini Max!